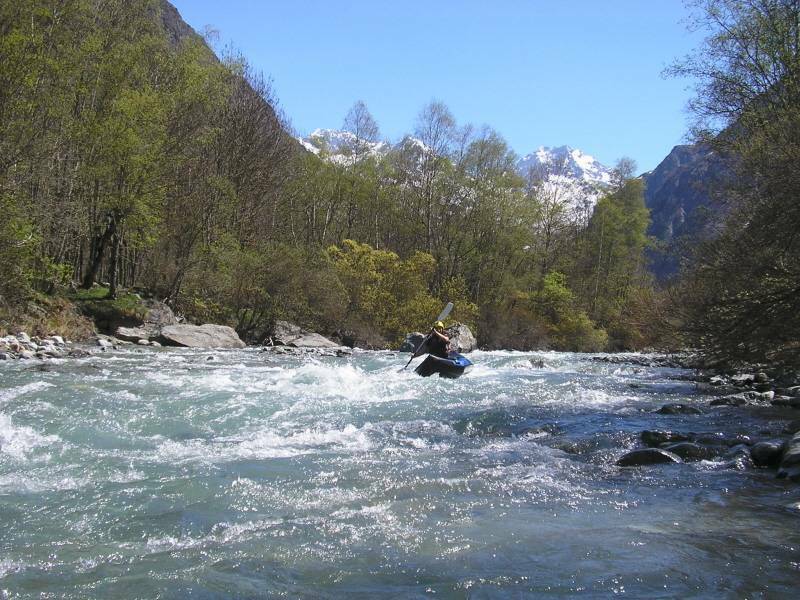 Where there are mountains there are fast flowing rivers full of white water rapids! 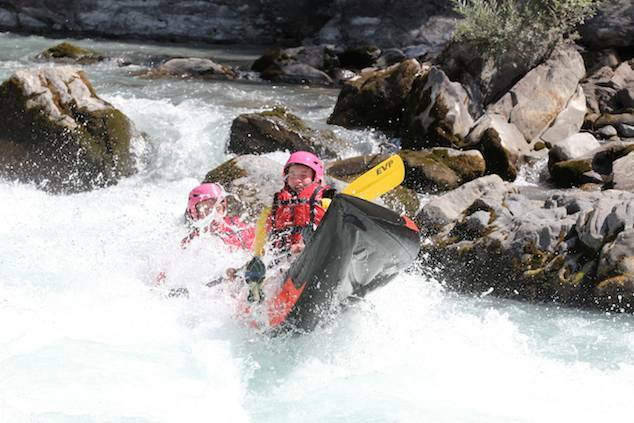 Some are more accessible than others and take advantage of the melting snow and enjoy the white water ride amongst the stunning mountain scenery. 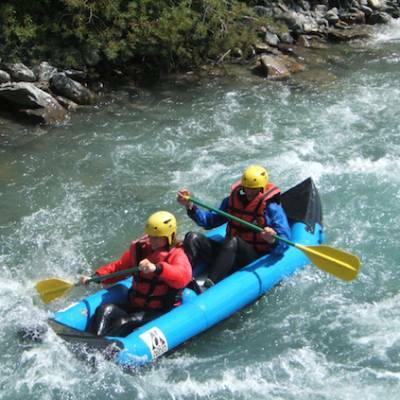 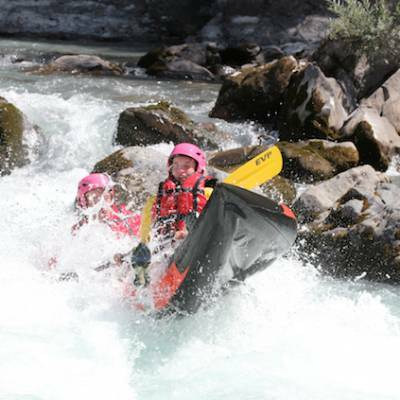 There are several different ways to experience the big and bouncy alpine white water! 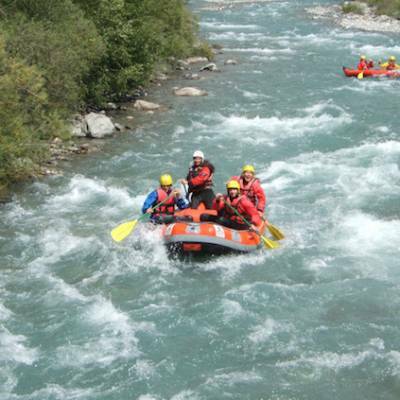 This is the most accessible for all and is usually in a group of between 4 - 8 people depending on the size of the raft. 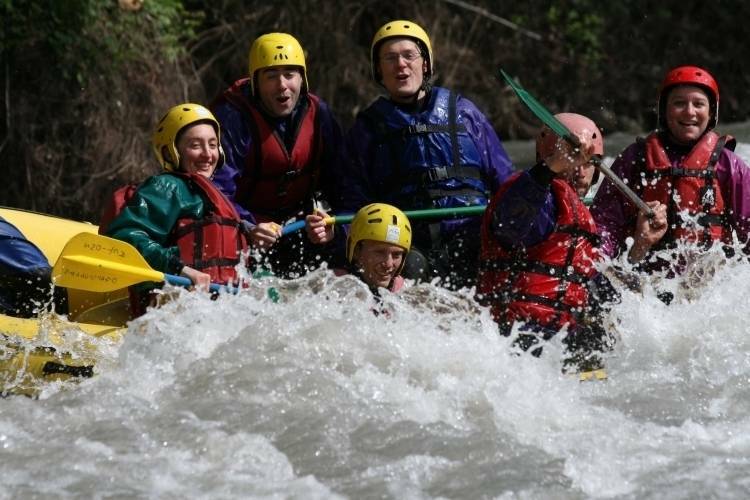 The idea is that you work together as a team to steer the raft down the rapids with instructions from the guide for when to put your paddle in, how to lean and generally make the most of the rapids. 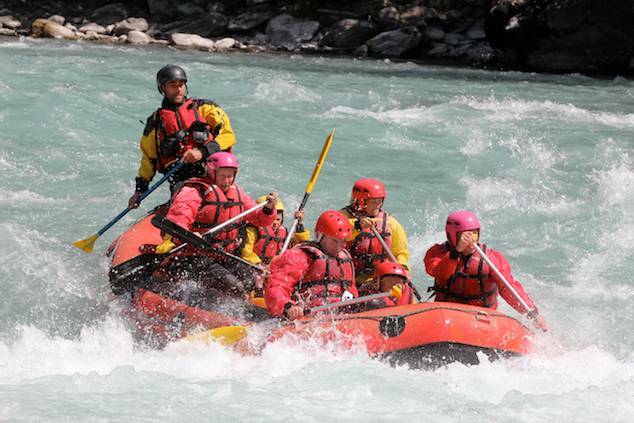 The reality is that you bounce around sometimes where you want to go and sometimes not!! 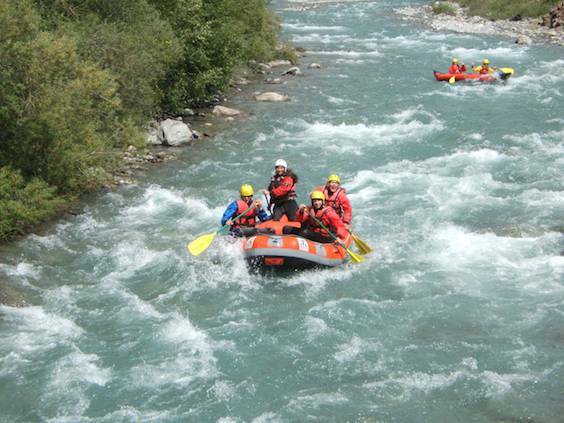 It's not unusual to go for a little swim alongside the raft - which is actually very pleasant on a hot day! 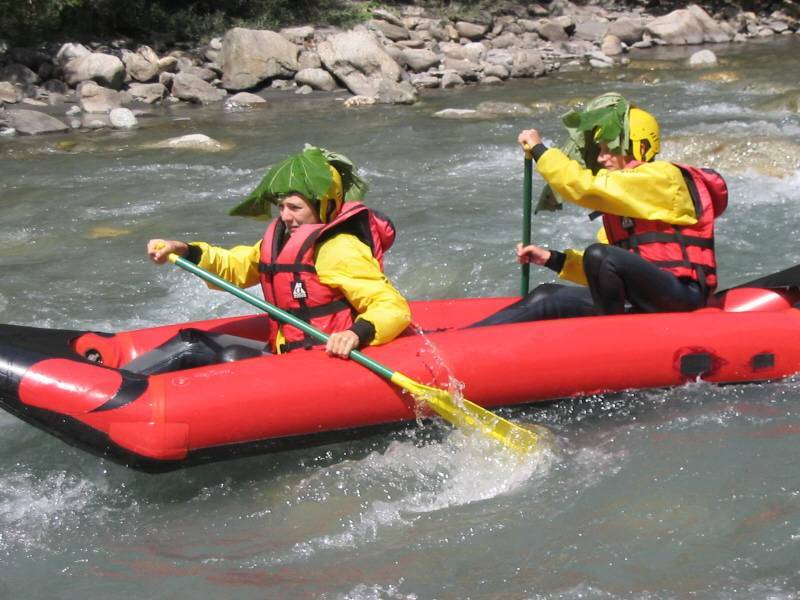 These are like white water canoes but inflatable so they are much more forgiving and stable and require much less refined skill! 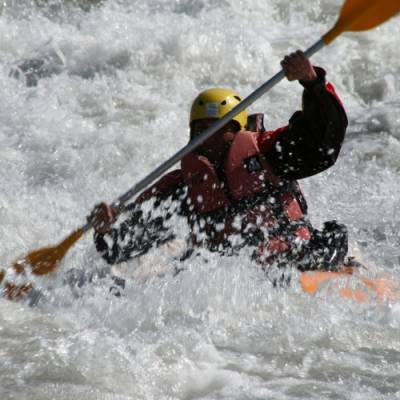 A bit like a long thin raft, you use the same principal of a canoe paddle to steer. 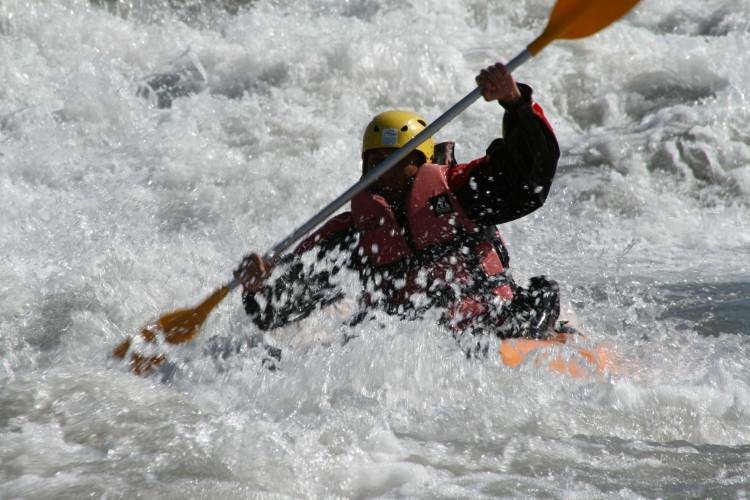 As you are that much closer to the water than in a raft the bumps feel bigger! 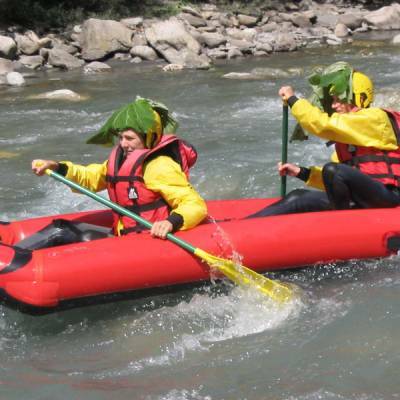 These are like inflatable kayaks - nice, stable and forgiving for novices! 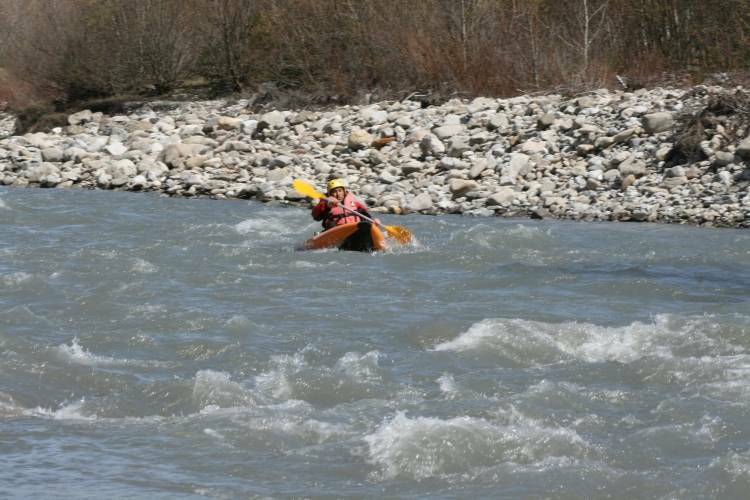 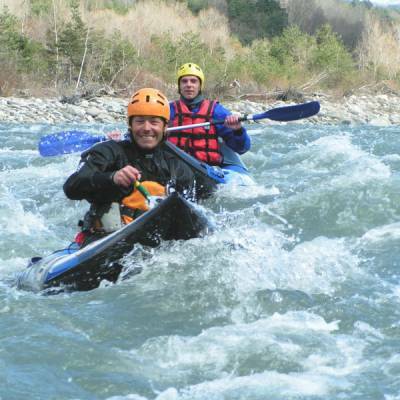 The principle is the same as kayaking in that you steer with your hips and use a two ended kayak paddle to control and steer, but unlike kayaking which takes a serious investment of time to learn, it is accessible to all. 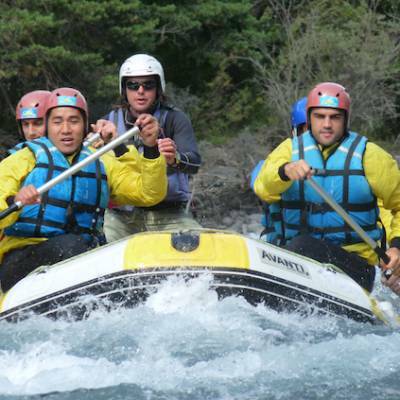 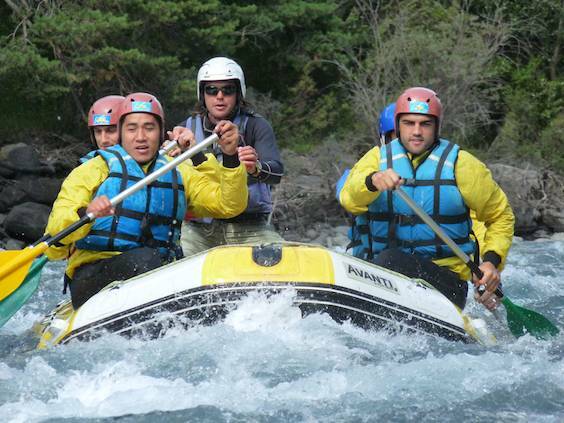 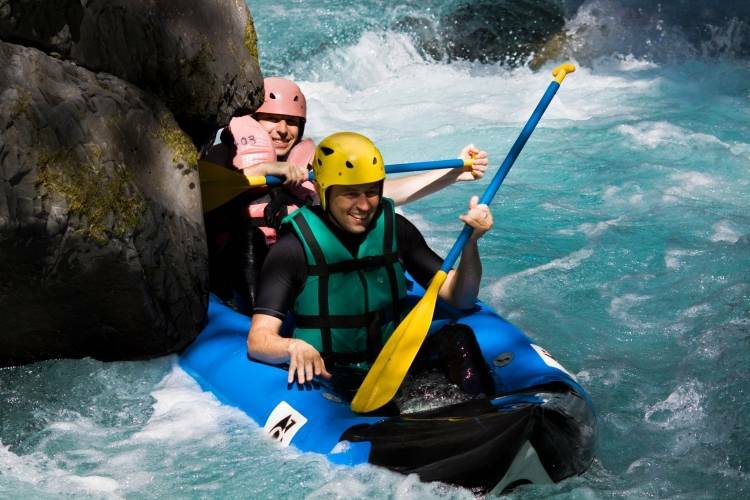 It's the perfect way to experience white water and get close to the rapids. 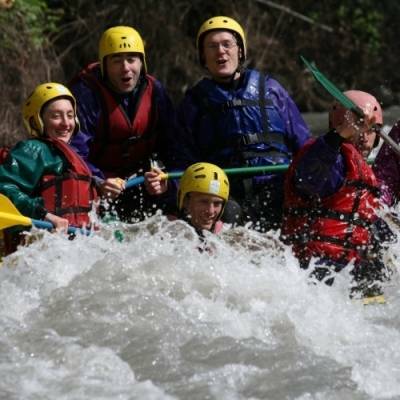 This choice will largely depend on river levels when you are here and your previous experience and age. 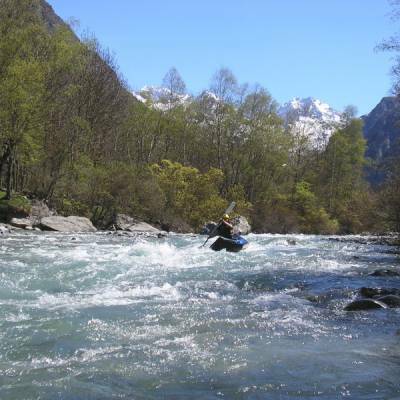 River levels fluctuate quite radically throughout the day and over the season depending on the snow levels, the weather and the topography of the actual river itself. 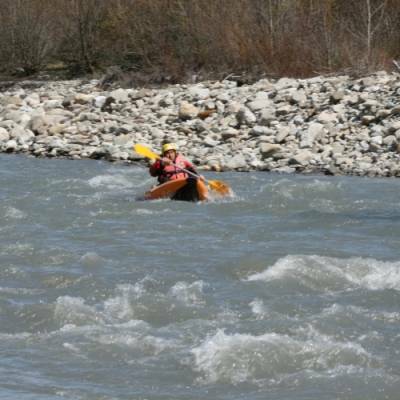 On a hot day the rivers will get progressivley bigger during the day! 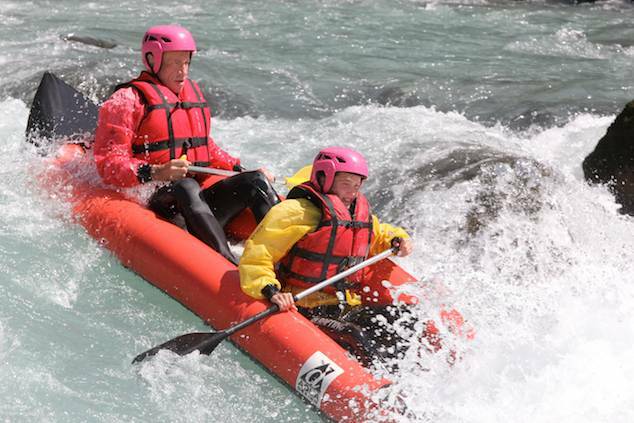 The peak season for big white water is May to mid July. 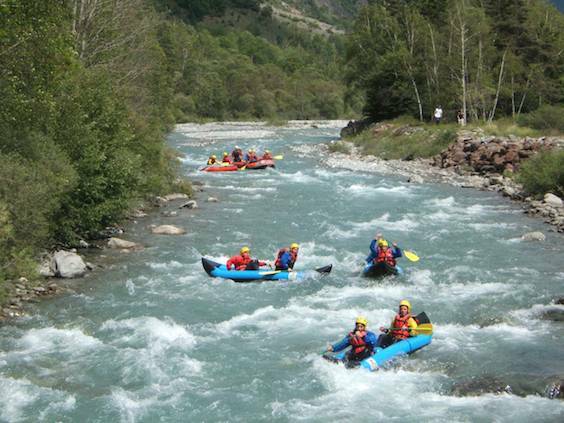 After that it gets progressivley lower but sometimes high levels are maintained through to mid August! 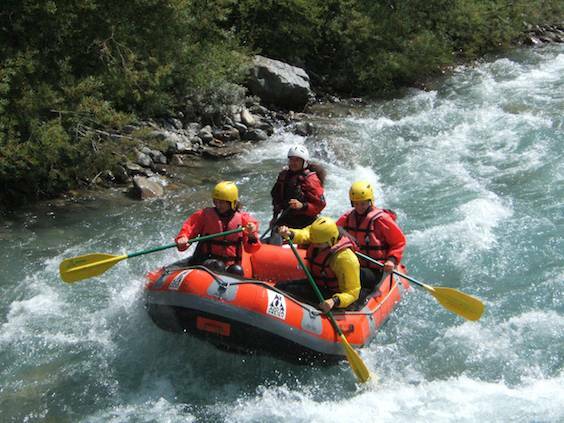 If the rivers are low, then hotdogs and airboats would be a more fun than a raft. 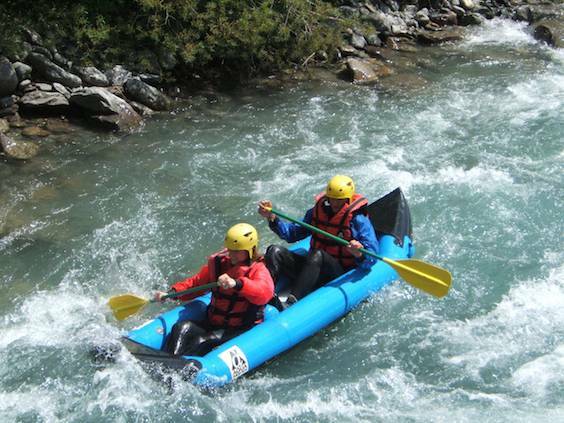 In high water, only people with previous experience or who are confident in water and reasonably sporty should go in airboats. 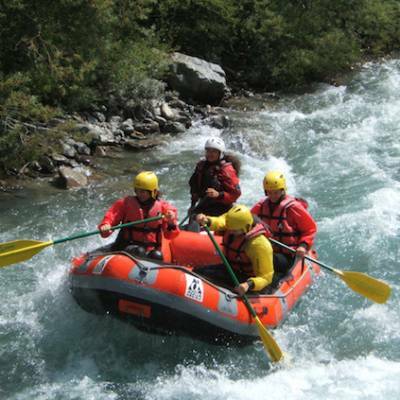 It is possible for a family with children of different ages to have the younger children in a raft and older teenagers in hotdog or even airboats. 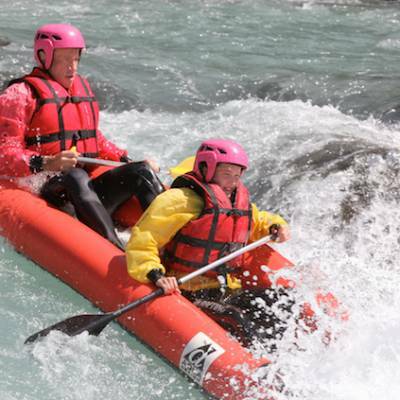 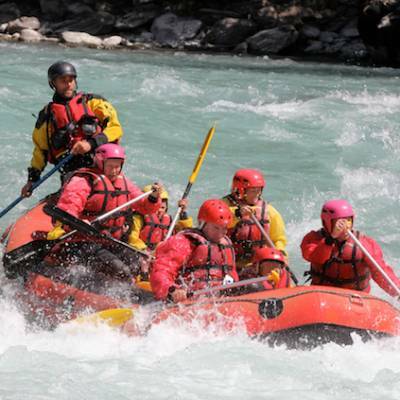 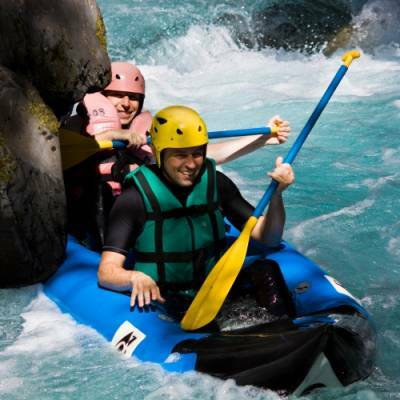 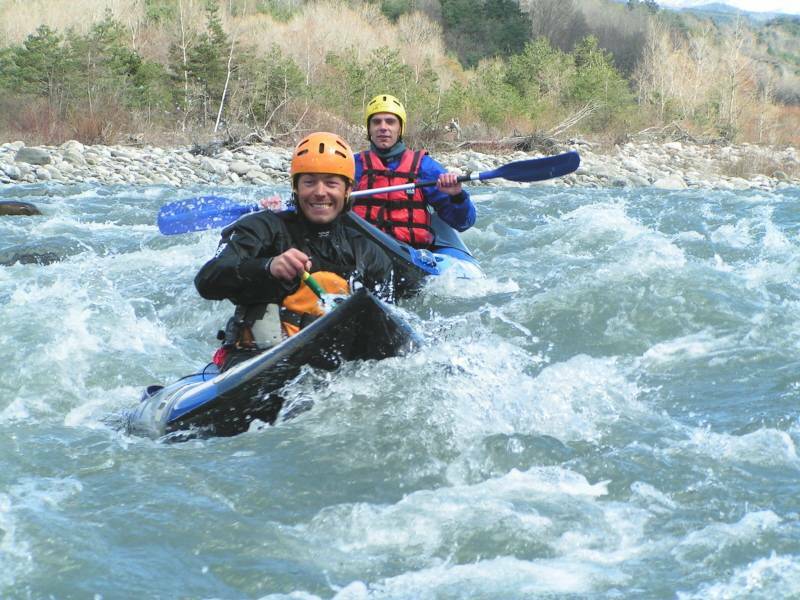 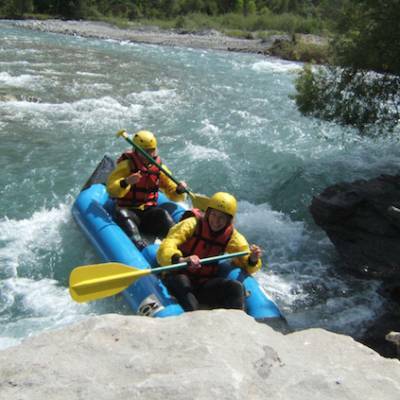 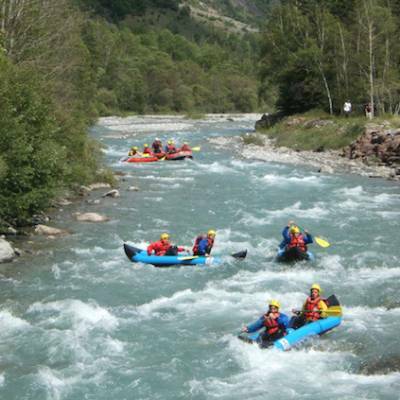 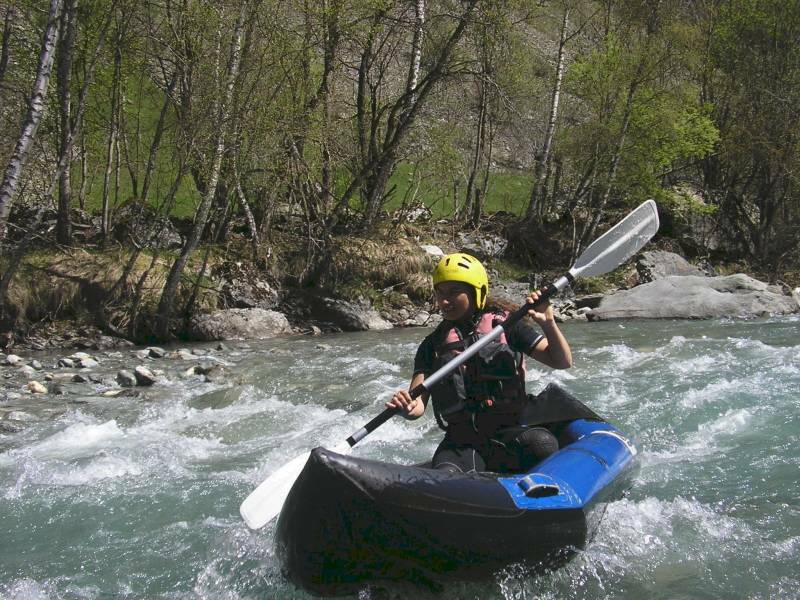 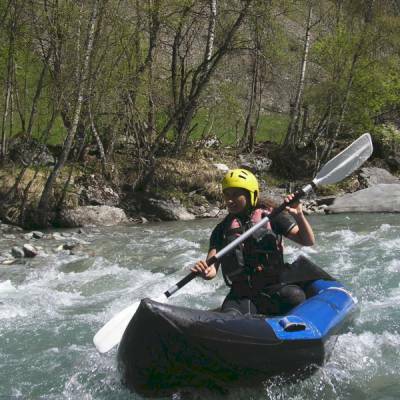 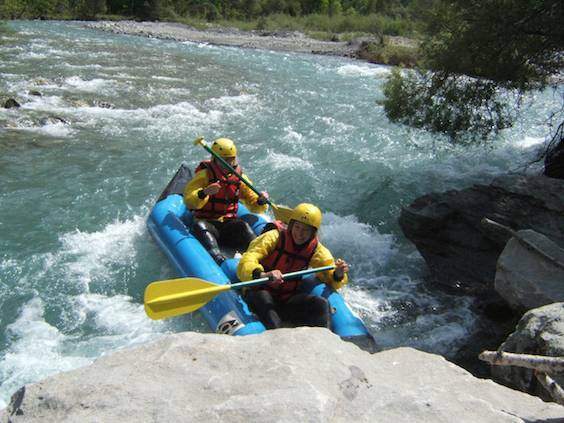 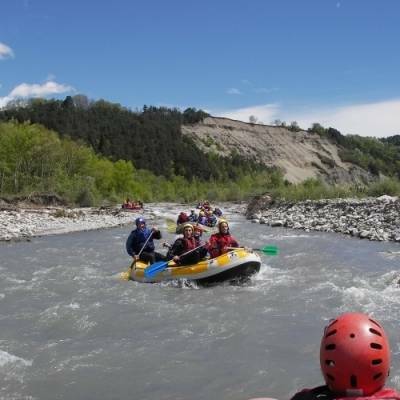 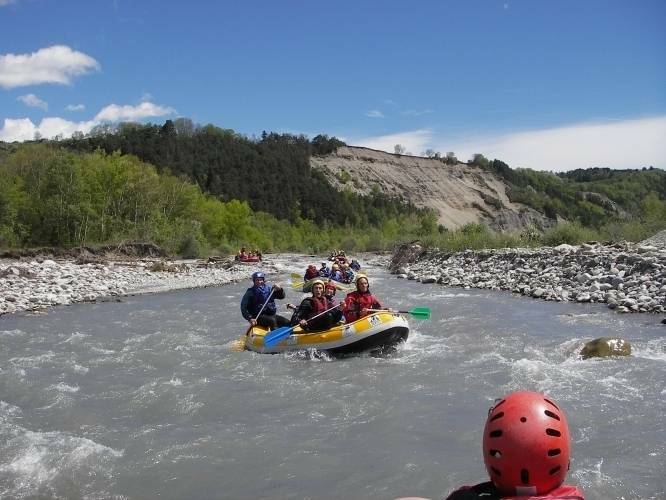 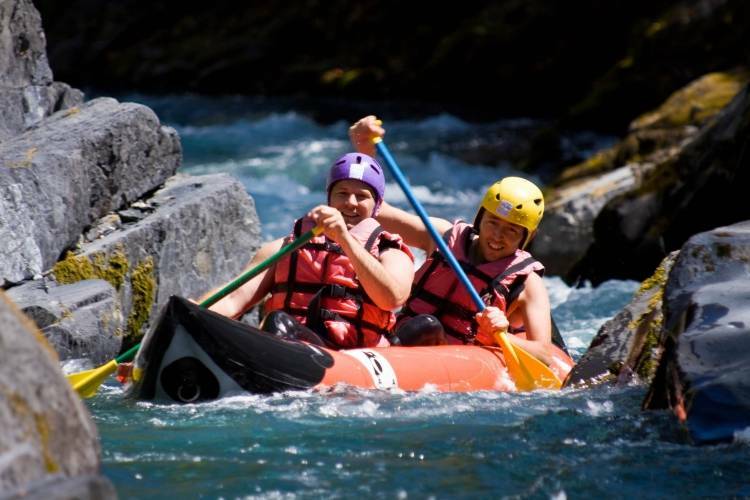 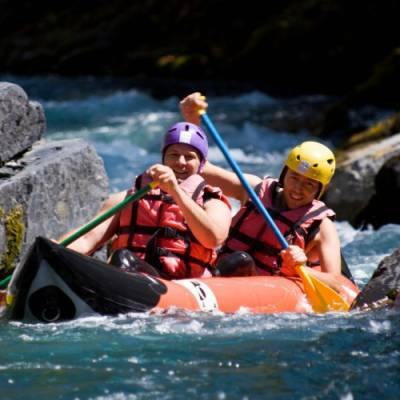 Have a look at our white water rafting holidays, kayaking holidays and summer multi activity holidays where you can try rafting, hot dogs or air boats below.